Every four years Oxford University’s National Perinatal Epidemiology Unit (NPEU) is commissioned by the Office of National Statistics (ONS) to survey 10,000 women who have given birth in the last 6 months in the UK. 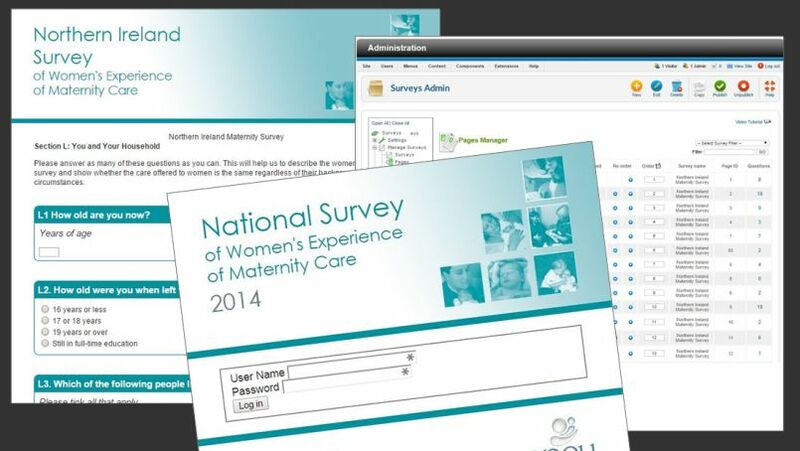 The research is carried out using printed surveys each with a unique number linking to the NPEU website so they can choose to complete it online if they prefer. They approached us to create the online version. We provided a bespoke solution that presents the 200 questions in their various different formats, including likert scale, multiple choice and free text, in a user-friendly, easy to navigate interface. The survey is anonymous to the NPEU but not to the ONS as in some cases they may need to follow up with the respondent, so each response has to be traceable to the unique number and in a form that can be fully interrogated, both on an individual and a reporting basis. Because collecting data this way is quicker, easier and more accurate than inputting the data from the paper surveys, the NPEU is keen to increase the online response rate so we have developed the latest version to be mobile and tablet friendly. The NPEU were delighted with the ease of use and the reporting capabilities of the online solution and it is helping them to provide robust data to ONS. The latest survey is currently in process but early indications are that online responses have increased.